To be able to watch movies and videos on your phone or tablet, you only need an application like AirStream. 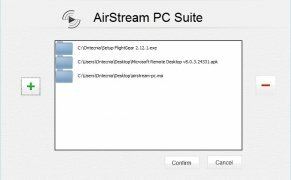 With this software installed on your computer, you'll be able to connect it to your mobile device. AirStream is fast and easy to install, and using it is even simpler. Anchored to the Windows taskbar, it provides us with access to the function to share files. 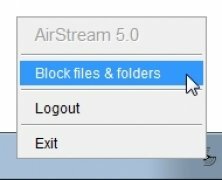 By browsing through our computer's drives we can add the files with a single click, and they'll be ready to be played on our smartphone or tablet. The latter will only require the installation of the corresponding application. Play movies, music and images via streaming. Copy files from your PC to your phone. Automatic detection of your PC on the network. 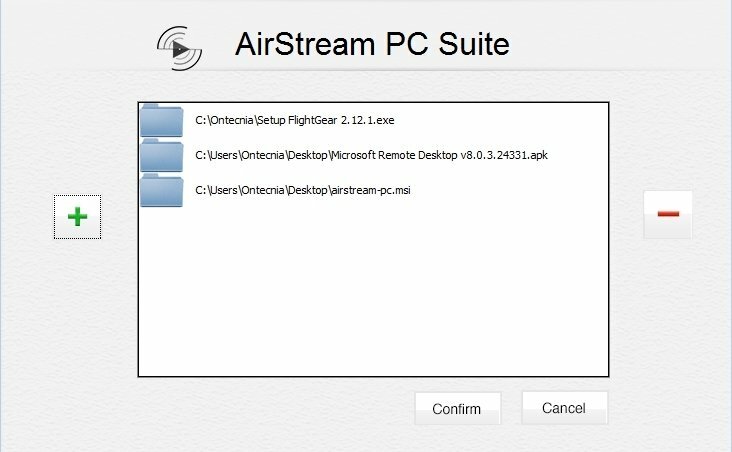 AirStream PC Suite isn't just a method to play multimedia contents via streaming. In fact, it also allows you to copy files between your computer and your phone or tablet, which together with the program's simple management system means an important improvement in terms of connectivity between devices. Requires that the computer and mobile devices share a Wi-Fi connection. You need to be previously registered as a user on the mobile application.